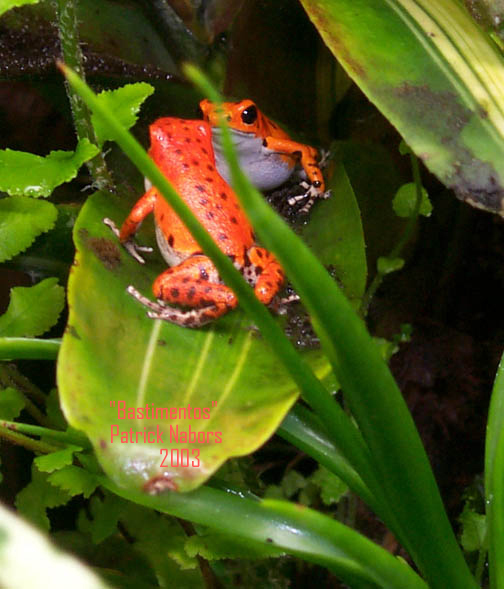 These frogs are very aware of you, but not particularly afraid! 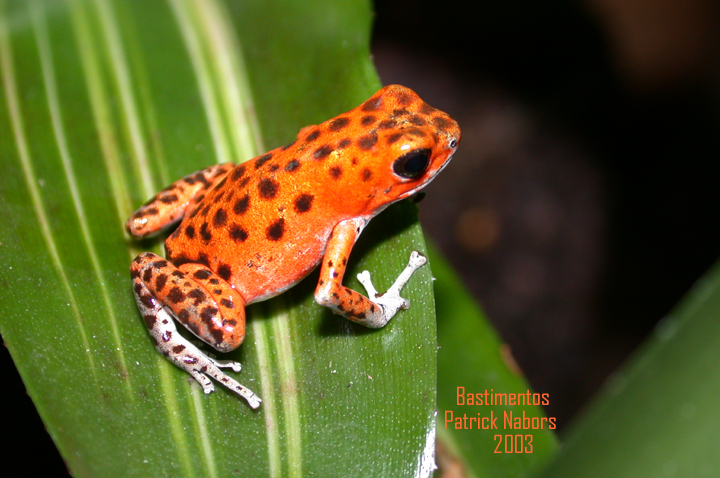 This is one of my favorite males, he and the female both have the large spots, and produce this well in their offspring. 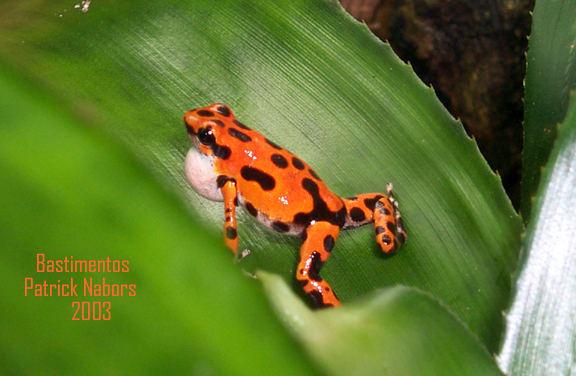 Male is from Pair number 9. 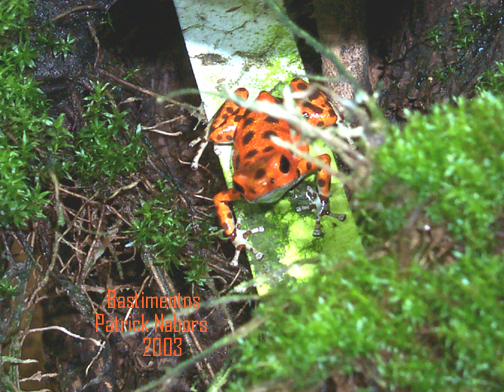 Each of these frogs is a little different, this one shows a lot of white on the feet and hind legs. 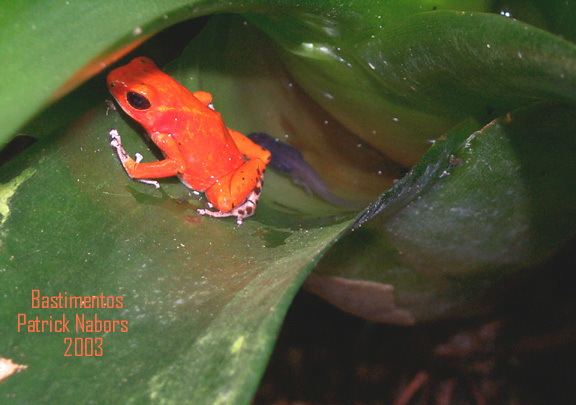 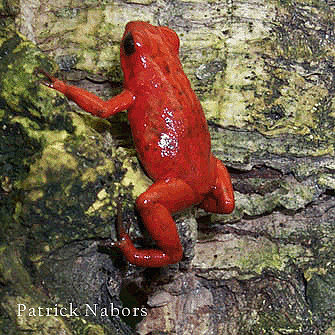 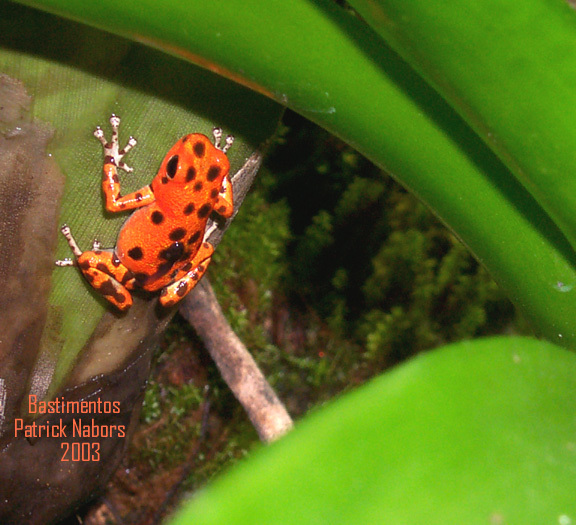 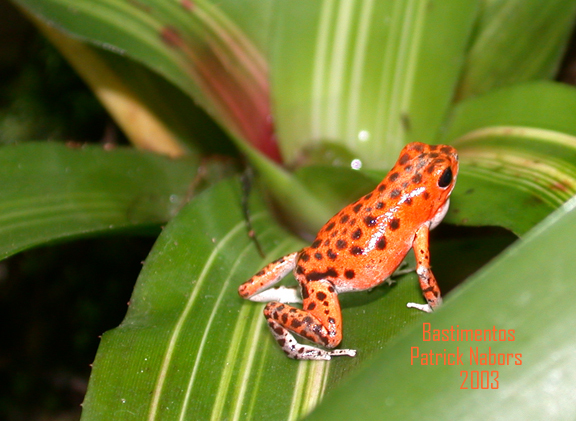 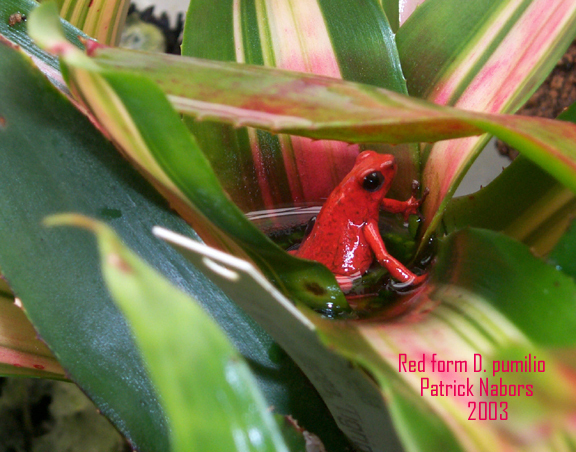 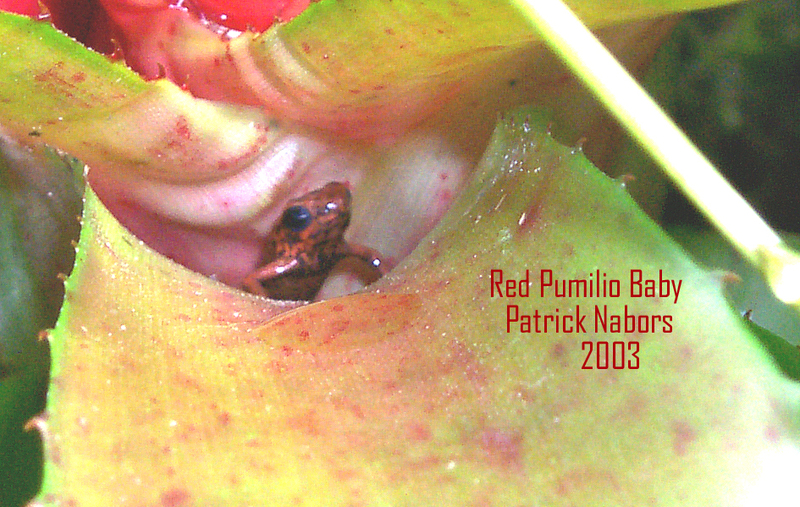 Here is a Bastimentos with no spots at all….note the tadpole in the bromeliad! 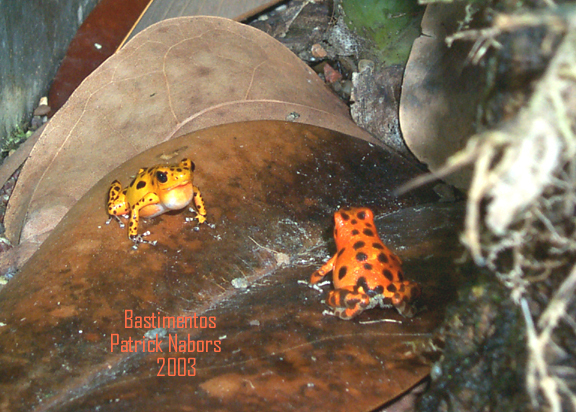 In a secluded spot they met…….